Missions is a key part of Harvest Bible Chapel Pittsburgh North. We encourage all those within our congregation to flex their muscle beyond the regular Small Groups out-reaches within the North Hills and Pittsburgh region. Below is a list of current mission work that we are faithfully supporting in prayer and financial support. Keep these both in your prayers as immediate needs that effect the eternal lives of those un-reached and/or un-teached of God's greatest gift through-out the globe. Harvest Bible Chapel Pittsburgh North continues to support missionaries on the front lines daily expanding God's kingdom throughout the whole earth! 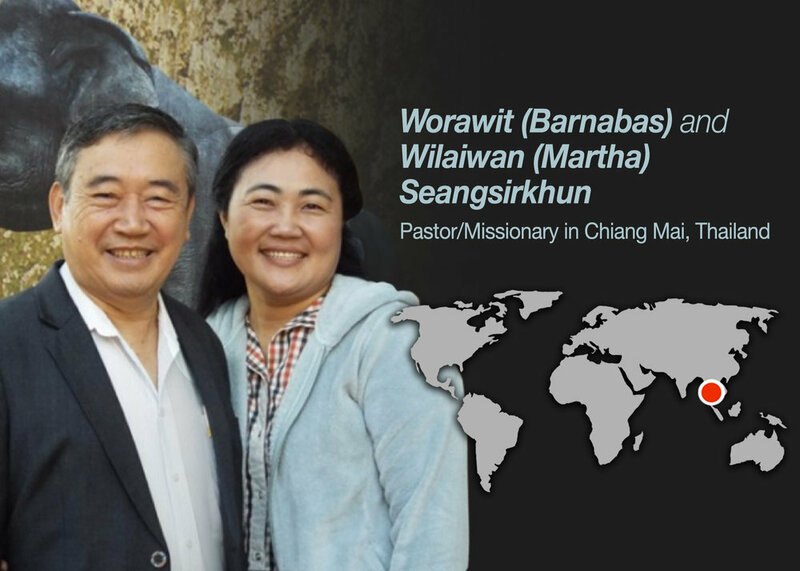 Your prayers and monetary support continue to energize an amazing and passionate missionary team in Thailand. Please consider adding Barnabas and Martha to your daily prayers and see what God is able to do with His provision. Use this as an opportunity to expand your faith and trust in His truth, thank you!